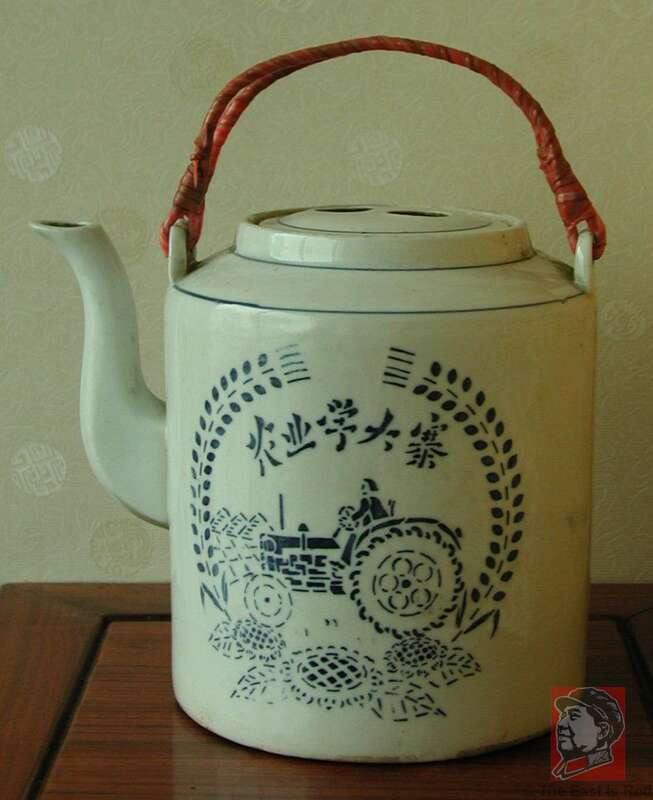 This teapot has great Cultural Revolution imagery - a woman driving a tractor in the fields and the words, 'In agriculture, learn from Dazhai' (Dazhai: a production brigade in Xiyang county, Shanxi province, the pacesetter on China's agricultural front). The reverse has the words, 'Get Going and Go All Out'. 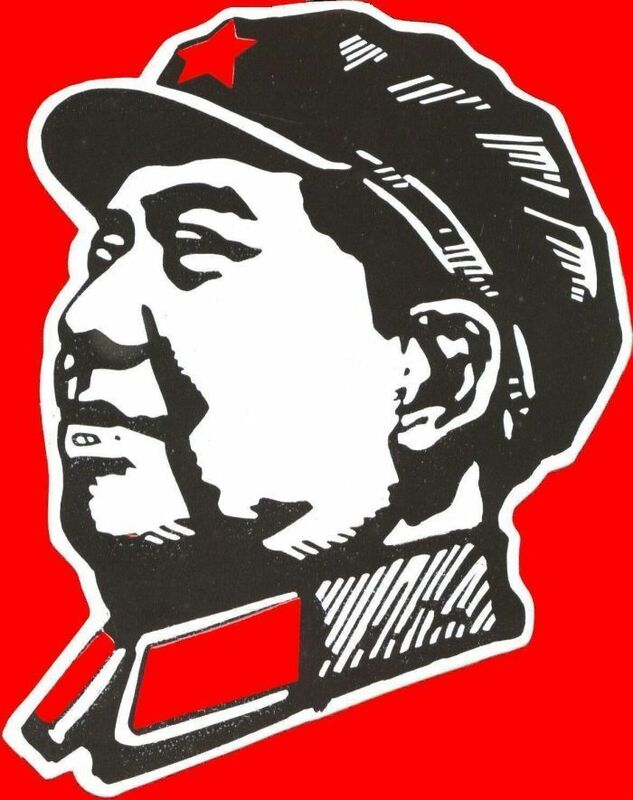 Although lacking a manufacturer stamp on the bottom, the images and teapot style place it squarely in the Cultural Revolution period. 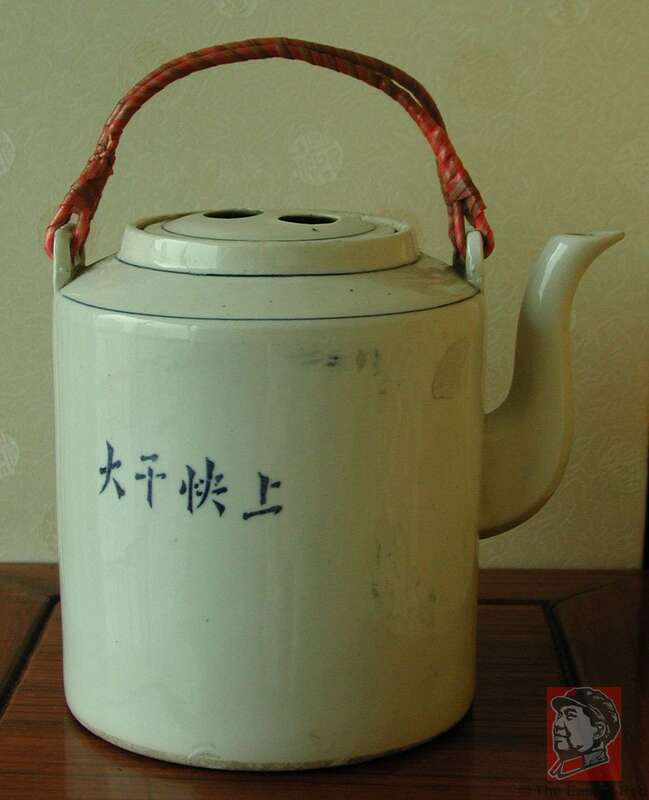 The teapot body is 17cm (6.75 inches) high.